The reason why we chose the name Obrigado as our guest houses name is because it means “thank you” in Portuguese. We inherited this house from a close and personal friend and this house is in remembrance of him. This is our way of saying thank you to him. At first we decided to rent the house out but because of the shortage of overnight accommodation we took the opportunity to create a luxurious guest house. Obrigado is a luxurious, six bed roomed guest house. 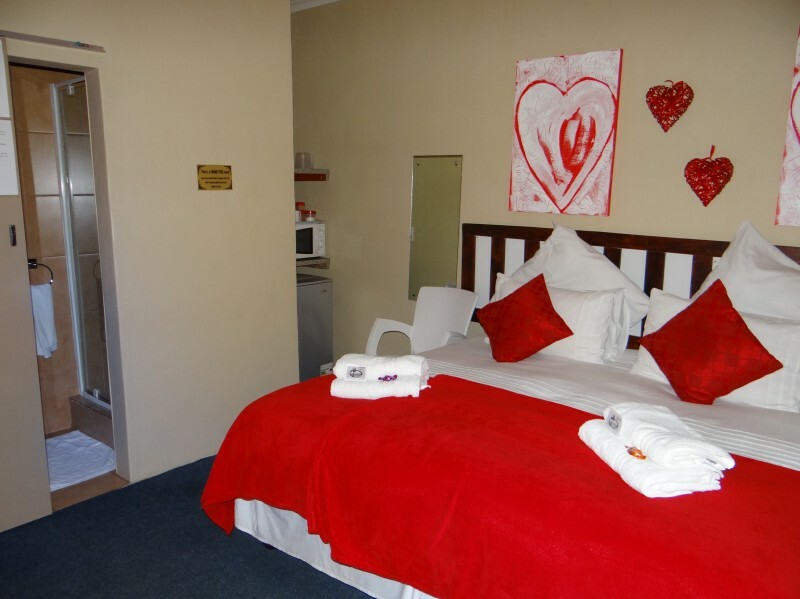 Each room is furnished with air cons, bar fridges and DSTV. One room has a double bed and a full en suite bathroom. The other five rooms have two single beds (can convert into a king size bed), with a shower and a toilet per room. There are dining quarters, one indoor braai and one outdoor under roof braai facilities. We have a secure underroof of the street parking area with remote control gate as well as CCTV camera facilities. Electrical fence, around the property. Free Wireless internet facilities are available in all the rooms. In each room there is a kettle as well as refreshments for e.g. tea and coffee.